REV'IT! Mantra H2O Gloves: What's Your Latitude? Summer may be coming to a close for us here in the north, but many of you still get to enjoy the warm weather for a few more months to come. New for 2014, the REV’IT! Mantra H2O Gloves provides you a two-season summer (think late spring and early fall as one season) waterproof glove to keep you dry on your riding adventures. 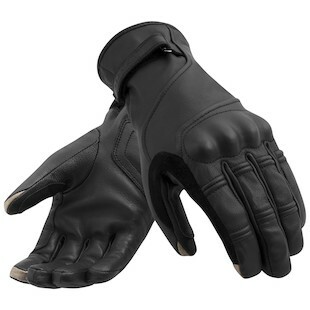 To keep your hands dry and comfortable, the Mantra features goatskin and suede leather for a better feel for your controls, hard knuckle protection to keep your hands safe, and connect fingertip fabric to keep you connected and allow you to use electronic devices without taking off the H2Os. If your hands get cold when it’s a little wet on your ride, the Tri-fleece lining and hydratex liner are there to keep you comfortable. For those adventures when you need just a little protection from that pesky rain, the Mantra H2O is there to keep you going.